After suffering two miscarriages Donna Kelly was desperately worried that her next pregnancy would end the same way. And when doctors told her five months into the pregnancy that she was at high risk of losing another baby, she readily agreed to their radical solution. For ten weeks, 24 hours a day, she lay 'upside down' in a hospital bed until she gave birth to a healthy daughter, Amelia. Ultrasound scans had shown that damage to the neck of her womb, or cervix, meant the baby had dropped too far down. 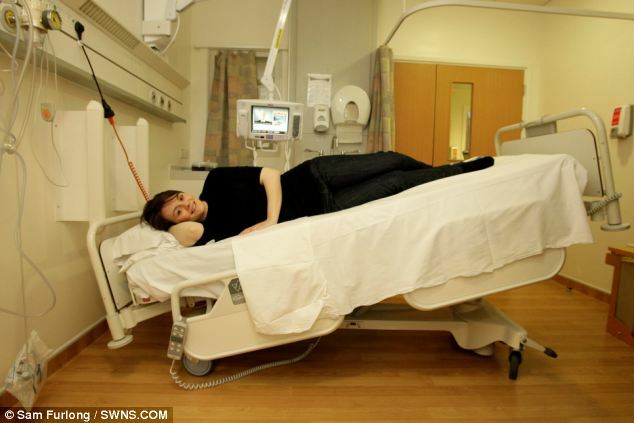 To alter the force of gravity on her cervix, the 29-year-old lay in a bed tilted at a 45 degree angle with her feet pointing upwards.